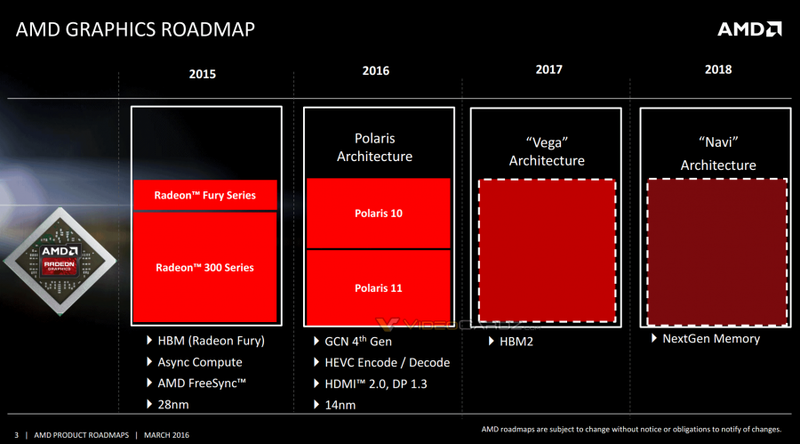 According to the new roadmap, that is slightly more informative than a graph shown at Capsaicin, Polaris architecture might replace both Radeon Fury and Radeon 300 series. This roadmap clearly suggest that all chips might be replaced with silicons based on Polaris architecture. 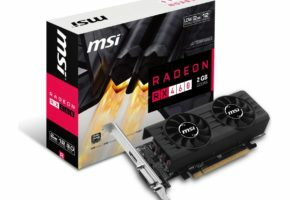 Does this mean there are are no rebrands in Radeon 400 series? Well it might be hard to answer this question right now, but that would be a very good move from AMD. 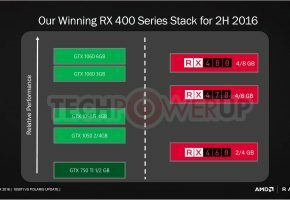 AMD Radeon R9 490 and R9 480 based on Polaris 10? New roadmap also sheds some light on what to expect from Radeon 400 series GPU positioning. I think it is highly unlikely Fury series will disappear, instead both Fury and Polaris 10 cards should coexist on the market for some time. 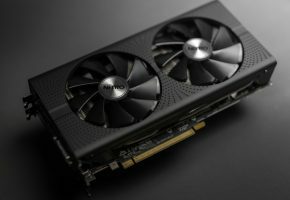 AMD otherwise wouldn’t release Radeon Pro Duo, if they were not planning to continue Fiji production. Also you might have noticed that Fury Series block is much smaller than Polaris 10 block. It could further suggest that Polaris 10 will be used on more cards than just R9 490 series. 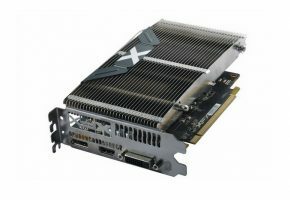 Polaris 10 could therefore launch as R9 490 and R9 480 series, which I think makes a lot of sense now. Meanwhile Polaris 11 would fill everything in mid-range and entry-level segments. If I’m right, then AMD made one of the best decisions in years. Rather than keep rebranding existing cards, they are focusing entirely on new architecture. This way if you ever hear about Radeon 400 series, you will immediately know it’s power efficient 14nm FinFET GCN 4.0 architecture. Furthermore this roadmap also confirms that Polaris 10 and 11 will support HEVC de/encoding and HDMI 2.0, DisplayPort 1.3 specifications. Moreover, we are told that AMD Vega, first architecture with HBM2, will arrive next year (2017). I think this is important, because some of our readers that were literally counting pixels on Capsaicin graph, were still hoping for late 2016 launch. 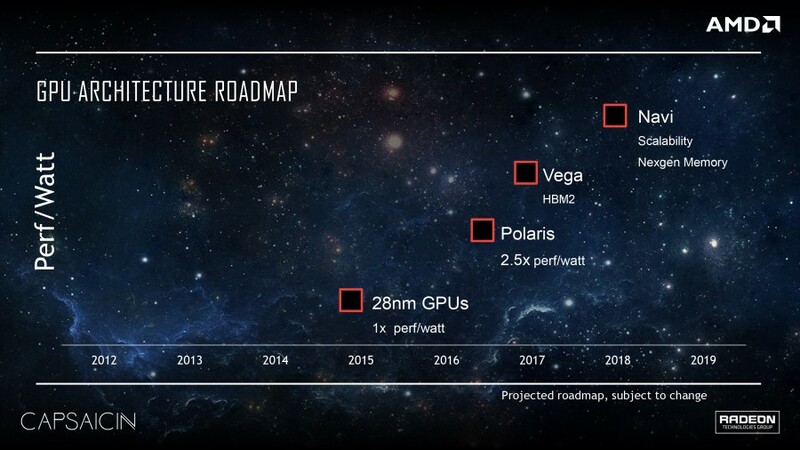 Well this roadmap clearly says there is no Vega this year, but well it’s just a roadmap, it can always change. 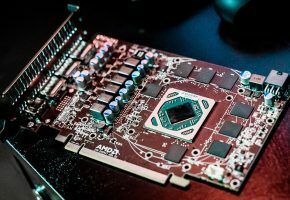 In 2018 AMD will unveil its new Navi architecture that will bring NextGen memory. For now AMD representatives refuse to describe what is hidden behind this phrase. Also I encourage you to check our new page dedicated to GPU Roadmaps, where we keep the latest information about hew chips.